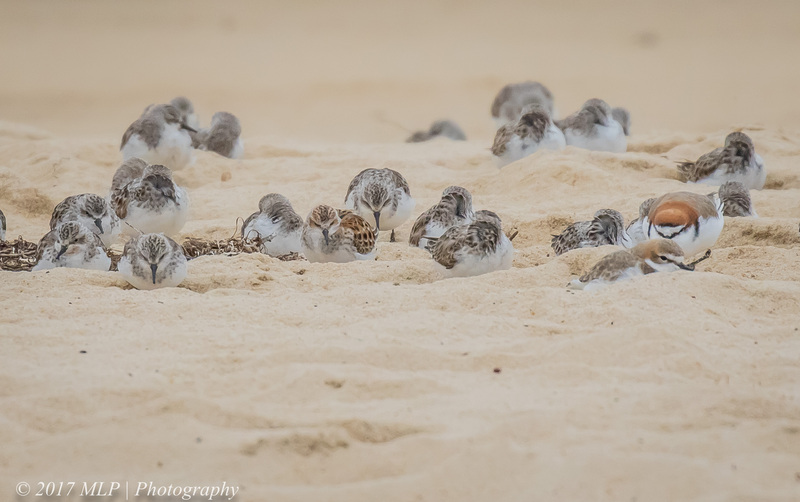 When I got home from the last twitch at Stockyard Point near Jam Jerrup, I saw a report for another rare vagrant to Victoria – the Little Stint. It was seen in the flock we had just left. Due to its brown/orange breeding plumage it stood out from the 100s of the plain grey over-wintering Red-necked Stints. Without the colour plumage it would have been identical to the others and no-one would have noticed it. We waited two weeks for another suitable weekend where the tide was high at a reasonable time. The weather, if possible, was even colder but at least newly purchased thermals helped keep me warm. It took a while to spot the little wader but an eagle-eyed and patient birder (Emma) finally found it – Lifer 347. 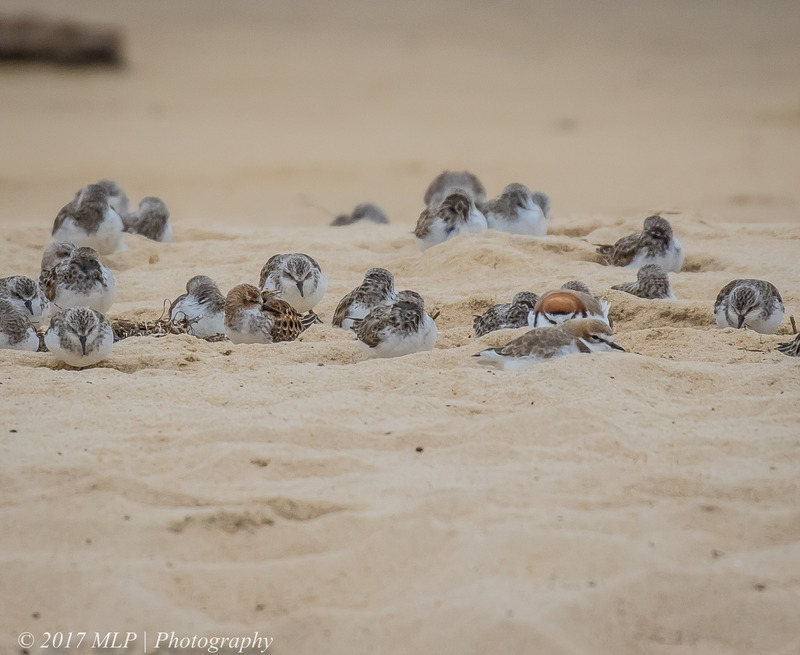 We spent the next four hours watching it move from the sand spit to a small sand bank out of the strong cold wind. Much of the time its head was tucked in as it napped at high tide. When it looked up a dozen cameras would snap away. Several times it flushed and we thought we had lost it but it always seemed to come back to the same sand divot. 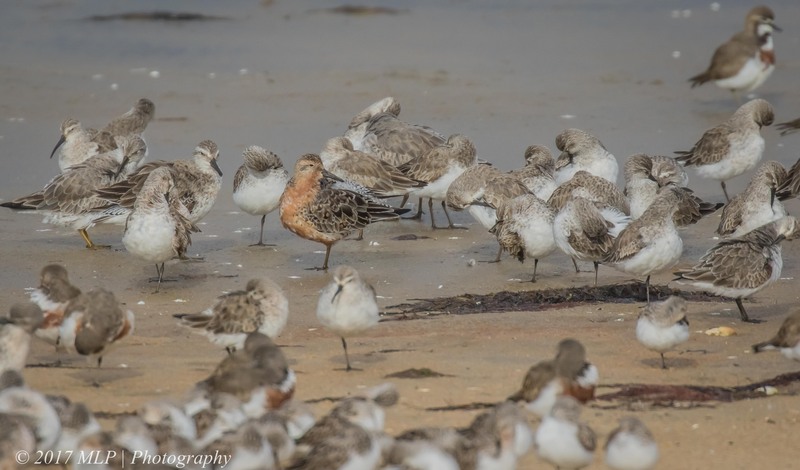 This entry was posted in Birds, Victoria, White Browed Babbler and tagged Australia, Australian Birds, Bird Photography, Curlew Sandpiper, Double Banded Plover, Little Stint, Nature Photography, Photography, Red Knot, Red Necked Stint, Red-capped Plover, Stockyard Point, Victoria. Bookmark the permalink. Another wonderful adventure you’ve brought us, Malt. 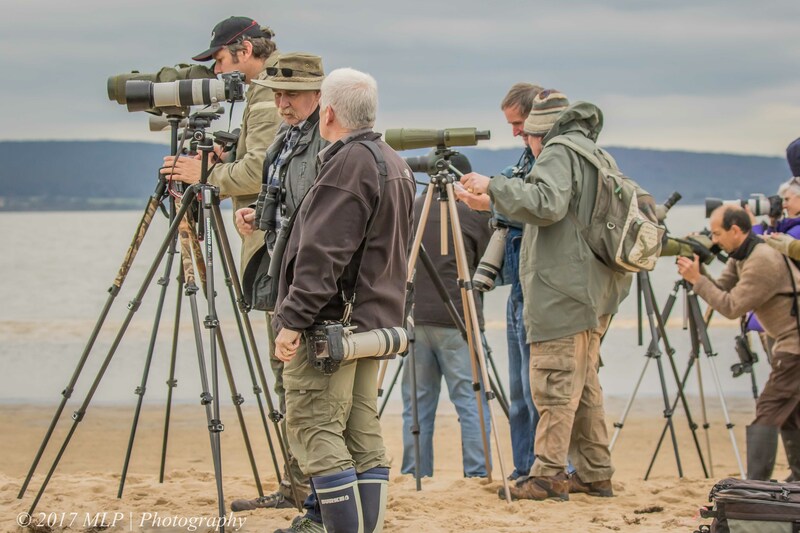 I loved the photo of the ‘birder crowd’. Are you on Facebook, Twitter or Instagram? What a great find Malt! 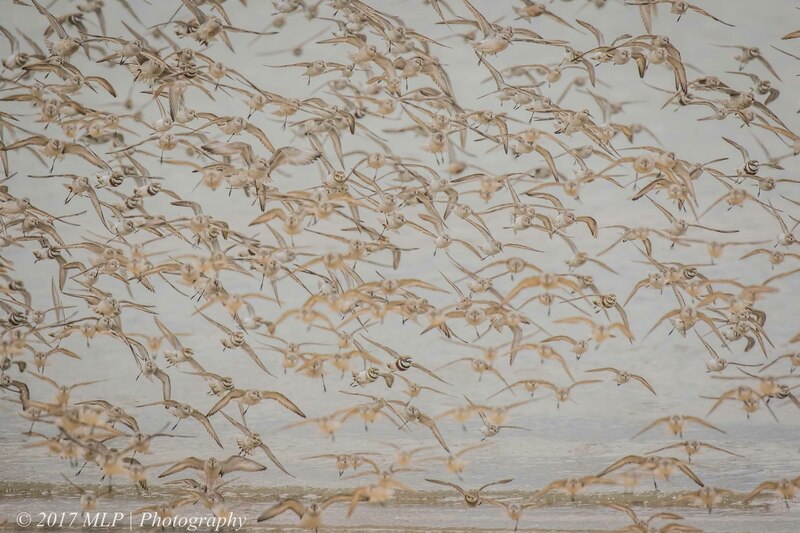 That Red Knot certainly lives up to it’s name. 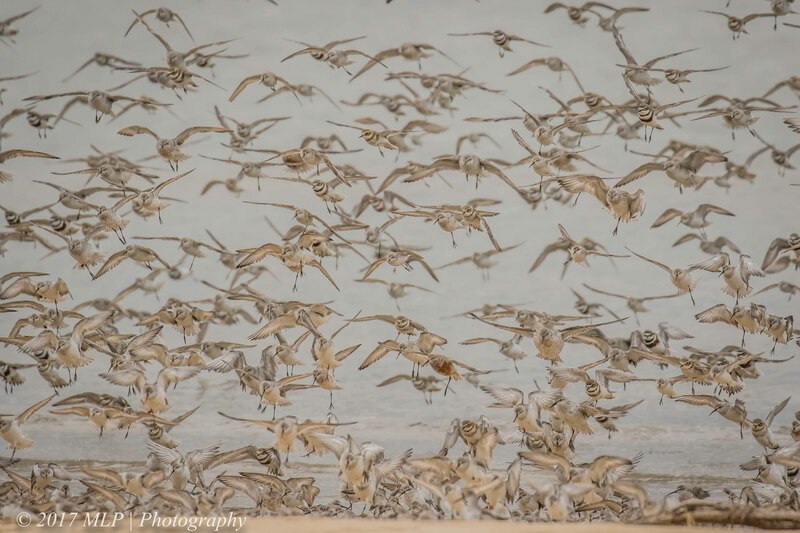 Great shots of so many waders for this time of year. Thanks Ashley, it was a rare and wonderful find. 2 lifers in two weeks.